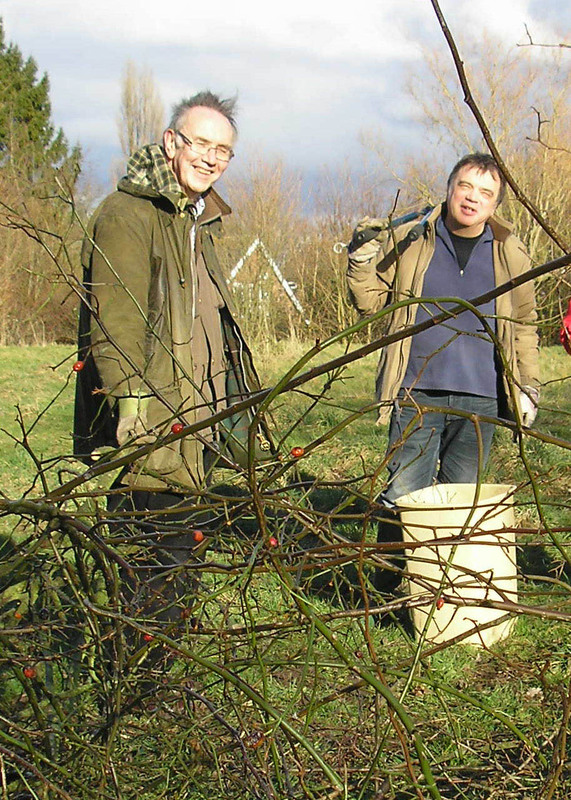 We were blessed with sunshine during our regular third-Thursday-of-the-month volunteer day on 20th February and made good progress with pruning back the overgrown roses beside the gate to reveal 3 nice holly trees and a small wild honeysuckle. There are already signs of vigorous new growth from young rose plants around the edge of that area. Paul Abbott (right below, caught on camera by Pam Brown) was a welcome addition to our volunteer team. Sadly on Valentines day, some time after 8 in the evening, some thoughtless individual removed the gate at Nelsons Lane; we say “thoughtless” because, when properly closed, the gate reduces the risk of small children or dogs or running out into the road. MC Trustees are very grateful to John Wood, a local resident, who responded to our notice on the gate post asking for any info. While on a walk John spotted where the gate had been dumped and gave us a call. Fortunately it was not badly damaged and was re-hung by MCT volunteers the following Tuesday morning. 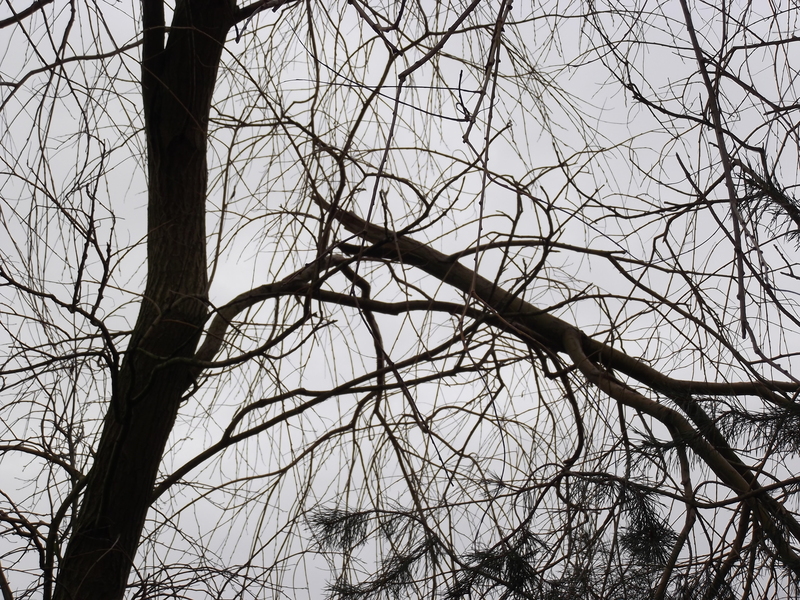 The strong winds recently brought down some large branches from the crack willows. A couple were hanging dangerously balanced on other trees. When this happens we bring them down to ground level for safety and remove them as quickly as possible. We were blessed with some bright sunshine on our Ist-Sunday-of-the -month volunteer day in February, caught on camera below by Pam Brown. The time was spent reducing the excessive amount of woody material on the forest floor beside the Nelsons Lane gate. 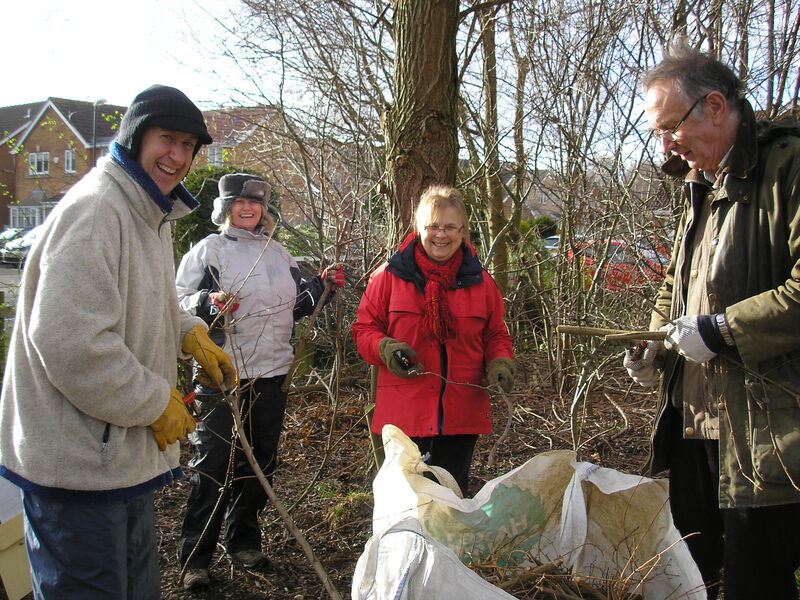 Some happy volunteers at the MCT volunteer day on February 2nd. The heavy rainfall and mild temperatures mean that the soils at the Mayfields Open Space are almost constantly saturated. Some water drains from the bunds and onto the path. In places, the build up of organic soil at path verges means that the path is now below the verge level. We have been going out in (and after) heavy rain and lowering the soils beside the path where puddles had formed. This then allows the puddle water to drain off of the path. Eventually the plan is to ensure free drainage along the full length of the path. We have continued in early January to trim overhanging branches that drop so much plant litter onto the path. Use of a new pole-saw allows us to reach up to about 21 feet above ground level. We are still trying to minimize use of power tools to keep the site as peaceful as possible. We have also, of course, been raking litter off of the path, bagging it, and either composting it on site or taking bags of litter off site for composting. On a cheery note, some of our local provenance seeds are starting to germinate, including wild honeysuckle. More wildflowers will be planted soon. Foxglove plants from Mike Ridealgh are also doing well.